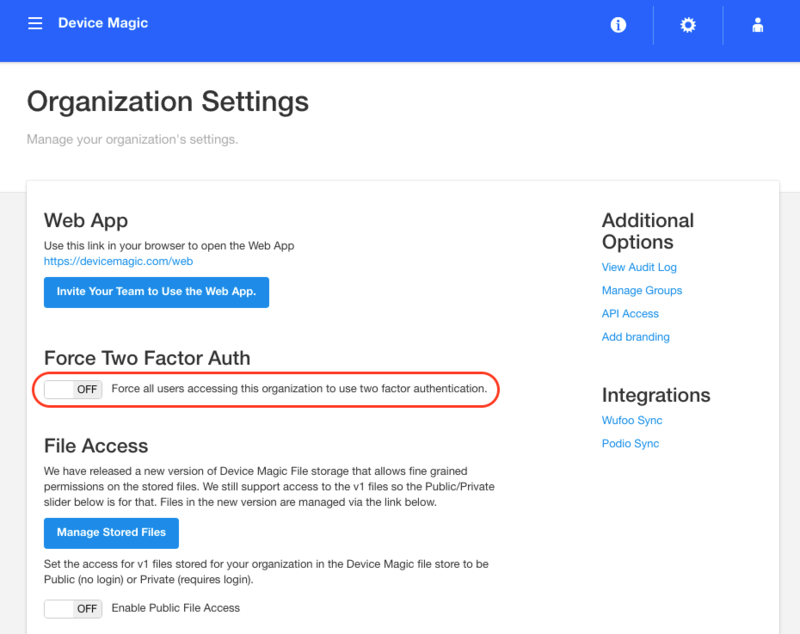 For greater security, we've released a new two factor authentication feature for administrators in your Device Magic organization. In this article, we will be covering how to setup two factor authentication. There are two ways to enable two factor authentication. The first method will enable two factor authentication for a single administrator and show the steps involved in completing the authentication. The second method will force two factor authentication for all administrators. We will cover the first method below and the second method after. 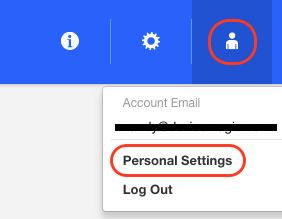 First, click the link in the top right corner of your dashboard that will be represented by your email address and then select 'Personal Settings'. Next, select 'Configure two factor auth'. You'll then be brought to your setup page. 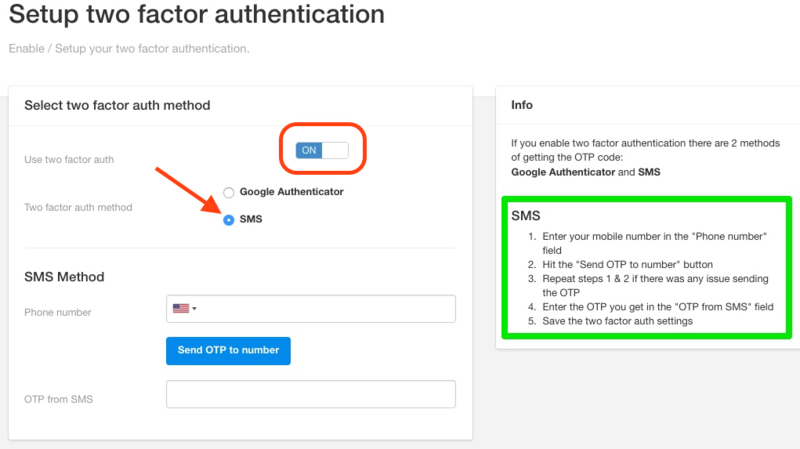 Switch the 'Use two factor auth' toggle to 'ON' and choose your authentication method. In the example below, I chose 'SMS' but you also have the option to use the 'Google Authenticator'. Please note, after choosing the method, the instructions to configure your authentication will appear on the right side of the page. Please see the green box below. After following the instructions, click the 'Save settings' button. icon on the top right corner of your dashboard and then select 'Organization Settings'. 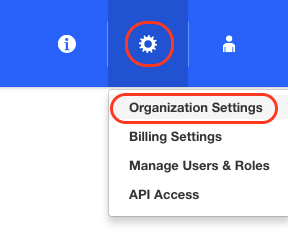 You will then land on your organization settings page and find the 'Force Two Factor Auth' section on the right side of the page. Simply switch the 'Enable two factor auth' toggle to 'ON'. This will force all users accessing your organization to use two factor authentication. After enabling this, the next time any of your users logs into your organization, they'll need to complete the previous steps for two factor authentication. This concludes our walkthrough, if you have any questions feel free to leave us a comment or send us a message at support@devicemagic.com.